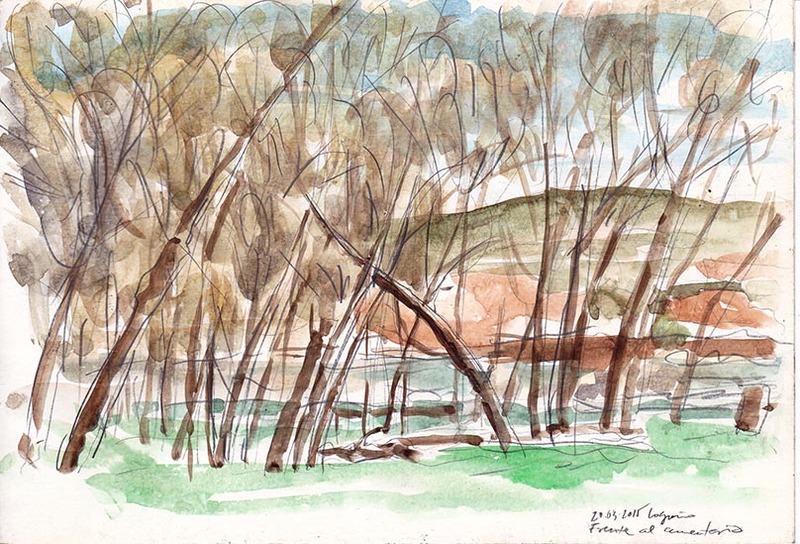 [Javier de Blas in La Rioja] In Logroño I often walk my dog Frida along the banks of the river Ebro. The poplars opposite the cemetery make arches across their branches or trunks and remind me of the paintings of Cezanne. When the weather improves I want to approach the style of the master. But the last day was too wet and cold and there was not enough reason to stay there for any longer. I settled for a first approach and for appreciating the flood state of the banks.